this photo has already appeared on tony-clements.com, but i think it's beautiful. it's what rob and i found at the end of our hike of mount otake. 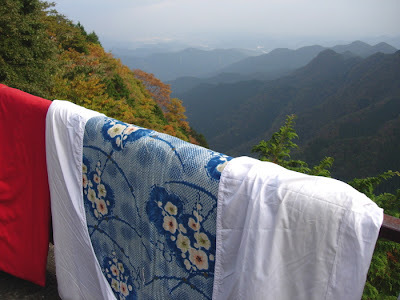 a beautiful summit, and someone's bright, clean blankets waving in the light breeze.